Congratulations, you’re having a baby! 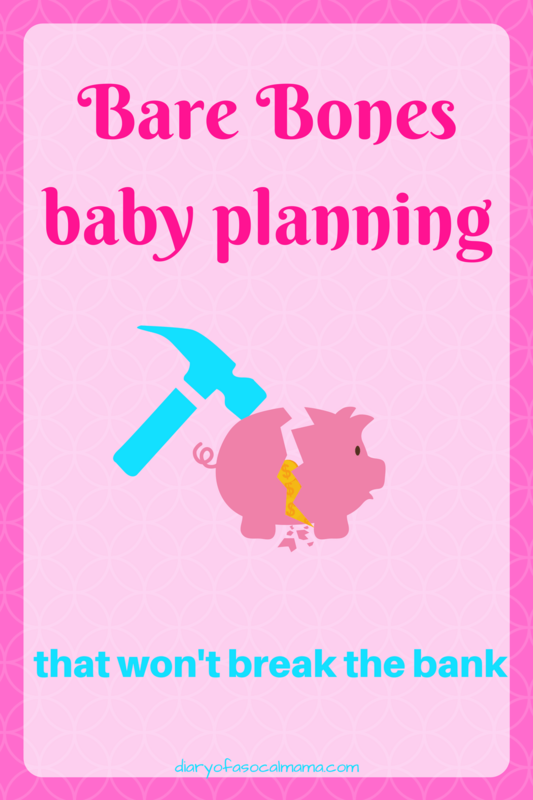 Having a baby can be expensive, but it doesn’t have to be. There are only a small number of essential baby registry items you need to have! There are lots of fun things that you can get and some will certainly make life easier. But, if you are low on funds or are into a minimalist lifestyle there are very few items you actually NEED to have. 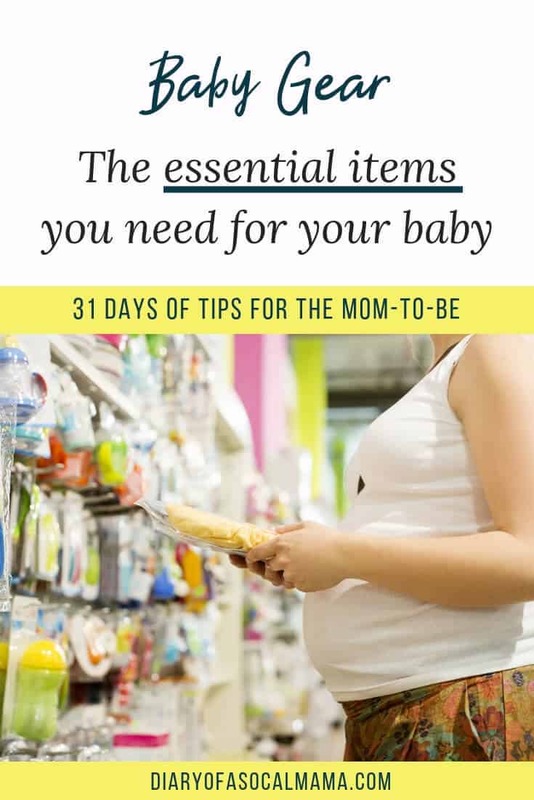 Here is my list of the basic baby items you’ll need for your little bundle of joy. This post contains affiliate links. If you make a purchase after clicking one of my links I may receive a commission at no additional cost to you. A great option is the Graco Pack N Play Playard. If you’re short like me you may want to consider the Lotus Travel Crib as it can be hard to reach the bottom of a regular pack n play if you’re short. A car seat is, of course, an essential baby item. you won’t be able to leave the hospital without one! Many parents install their car seats incorrectly or don’t have their child strapped in properly. Please check the Car Seats for the Littles website for guidelines or find a local car seat tech to help you with a proper install. Infant seats are great because they can be used to carry your little one around in the early days. Many models are made where they click into a stroller. These are referred to as a travel system and can make life much easier with an infant. Convertible car seats are sometimes able to accommodate infants. You will need a convertible car seat once your child gets bigger. We switched when my daughter was around 18-20lbs because it just got too hard for me to haul her around in her infant carrier. My favorite is the Graco Extend2Fit. Amazon has good prices on car seats but always check Target as well. They frequently run promotions where you get a gift card back for making a large purchase in the baby department! They also do a trade in a couple times a year. You get a 20% off coupon when you trade in your old car seat. This is the perfect event when you’re ready to move from the infant seat to a convertible seat. I love burp cloths! They’re versatile and come in handy for so many things. They, of course, are great for catching spit-up, but they also can be used for swaddling, as a lightweight blanket, to cover a public changing pad, their uses go on and on. My favorite are these spasilk ones you can get on Amazon. If you really want to go low spend here you could make your own from old shirts or sheets! Your baby will go through a lot of clothes in their first year of life! Some clothes you will get and your child will never wear as they will outgrow the outfit before you have a chance to put it on them! Baby clothes are cute, but they don’t have to cost you a fortune. Look on craigslist or your local moms’ group on Facebook and you will find people giving away or selling lots of baby clothes for cheap. And remember, they won’t wear them for long, so you don’t need to purchase a ton of things. The one thing I’m always short on is pants/shorts so be sure whatever set you get includes these. I live in Southern California, so when I received several blankets at my baby shower I was thinking I would never use them. Wrong! I actually have used them quite a bit. It does actually get chilly here occasionally and who wants to try to wrestle an infant into a jacket when you can just tuck a blanket around or over them? I also use the blankets to lay them on at mommy groups, visiting friends, etc. There are tons of options like this cute woodland creature blanket or this trendy grey and pink elephant blanket. Be sure to apply for lots of free baby samples! I’m a big proponent of breastfeeding but I did have to supplement a bit in the beginning and I was happy to have a variety of free formula samples sitting in my cupboard. You can also get samples of bottles, pacifiers, diapers, wipes, and lots of different baby bath products. You can’t have too many samples! If you end up with stuff you can’t use post it to your local mom group and someone will certainly be willing to take it off your hands. Don’t know where to start? Check out my list of Absolutely free baby samples! Diapers are of course an essential item. If you’re interested in cloth diapers more power to you, I can’t handle the thought of that much poop in my washer and dryer. To save on disposables you need to start building a stockpile early! I’ve written a diaper stockpile cheat sheet showing you how I pay less than $5 per pack of diapers. If you want to learn more about cloth diapers simplymombailey.com is a great resource! A bouncy seat is definitely an optional item, you could get by without it. However, you will need someplace to put baby down and these come in handy as they are easier to move around your house than your pack n play. You can also get one for around $20 so it’s not going to add too much to your budget for baby essentials! This one does not have the bells and whistles of a swing (often called a rock n play) or a mamaRoo but it vibrates and can be bounced with your foot. It also takes up a lot less space than a big swing. My daughter loved the vibration and would talk to this simple toy bar forever! I could easily set it in my living room or pull it into my bathroom so I could take a shower with her nearby. Bonus: The cover slips off pretty easily so you can wash it in case of a blowout. REMINDER: None of these seats, bouncy seats, swings, rock n plays, or mamaRoos are considered safe for sleep. Because of the incline, there is a risk of positional asphyxiation. They should only be used to entertain your baby while they are awake. I couldn’t decide whether the last item on the list should be a baby carrier or a stroller. 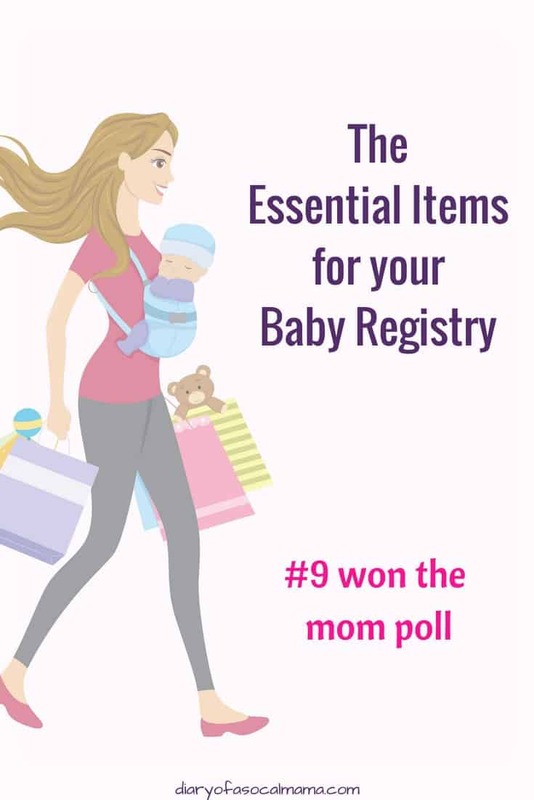 So I polled other moms and the number one item they mentioned as being on their list of essential items was a baby carrier, so it wins the number 9 spot! Carriers come in a wide variety of styles so you’ll have to figure out which is best for you. If you want to try them out check to see if there is a local chapter of Babywearing International or call your local baby store and see if they allow you to try them out. Fortunately, I have a local store where the staff will help you try them out and even have weighted dolls to practice with! I personally love my Mei-Tie. Other popular options I often hear recommended are the Moby wrap, Tula, and Lillebaby (This is the one my husband uses). Check out all my advice & tips for expecting moms on my 31 days of tips for moms to be page! The pack n play was definitely a must for us. I have to agree these are the essentials for a new baby. I am know that having a baby for the first time is exciting and you feel like you have to have EVERYTHING. But all you need are the basics listed here. This is definitely a great list for any first time moms! Great products for sure. This is a great list! I will be sharing! Thank you for sharing over at Mama Blog Monday! Thank you for sharing! I love helping other mamas find great products.